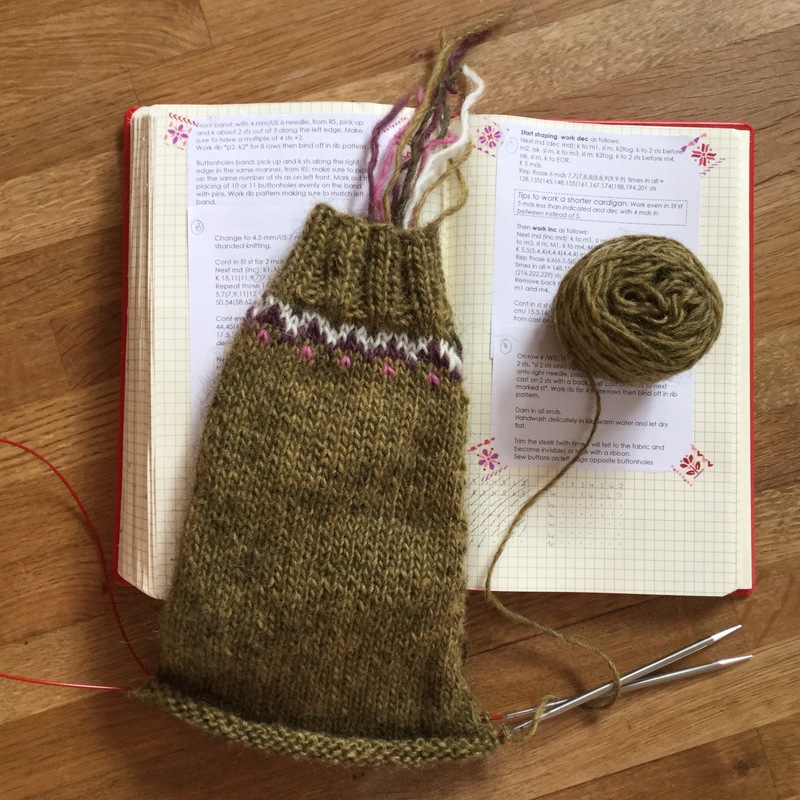 This August, whilst I was travelling around the top of Iceland, I visited the wonderful Anna-Fold yarn shop in Akureyri. I wanted to buy some local wool, so purchased enough Isotex Lettlopi to knit a cardigan. 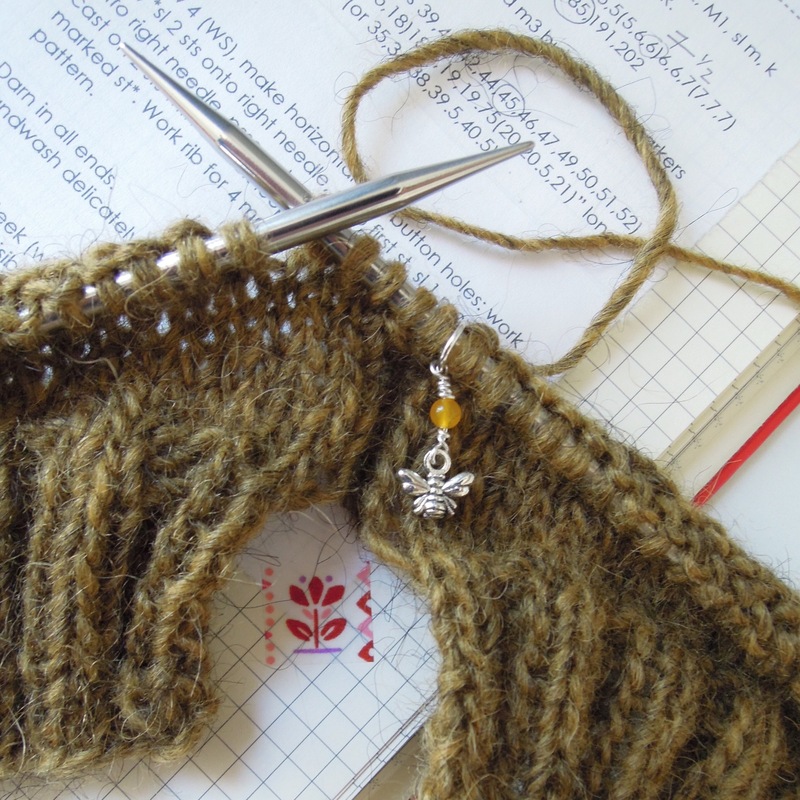 I chose a khaki main colour of the Aran weight wool with four complimentary colours for a fair isle yoke. On returning home, I decided to use this Icelandic wool to knit a Gamaldags cardigan by Helene Magnússon, known as The Icelandic Knitter. I worked out my colour scheme on graph paper and then began. 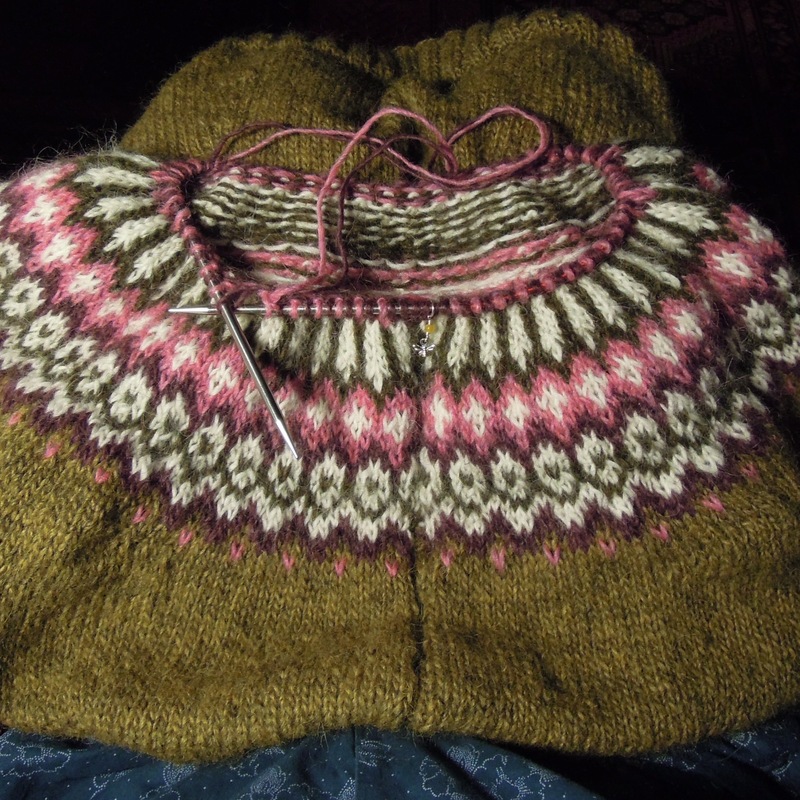 Being a thicker weight than my last knitted cardigan, namely my Shetland 2-ply Cockatoo Brae, this one quickly progressed. Sleeves first, then the main body. Knit in the round as a jumper, it was relatively easy to steek. 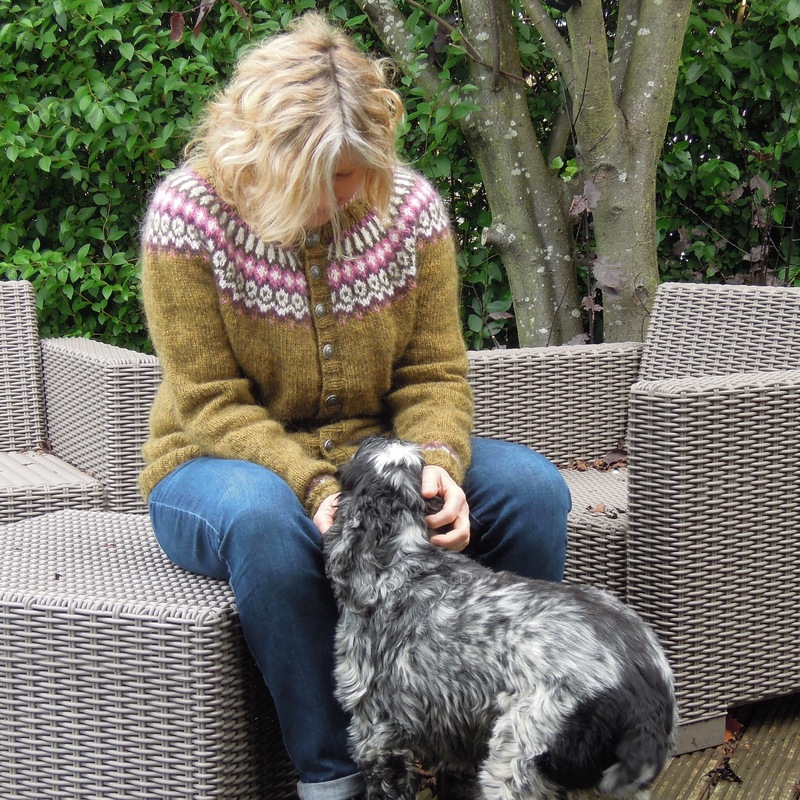 Once I had finished sewing in buttons and steek ribbon on the inside, I soaked and blocked the cardi to size. It took three days to dry as it is rather thick! I’m delighted with the finished result, and grateful for the colder weather so that I can wear it!